– Kara Goucher voicing her concerns over Nike’s new shoes designed as part of their sub-2 hour marathon project which Shalane Flanagan, Amy Cragg and Galen Rupp wore an early version of at the 2016 Olympic Marathon Trials. How well do you know men's T&F World Records? What's more detrimental to your running? Unsupportive spouse or high stress job? Why Are Guys Still Wearing Baggy Singlets? Collegiate XC/TF Runners - What's your teams attrition rate? 9:14 as a junior -- will that get scholarship offers? 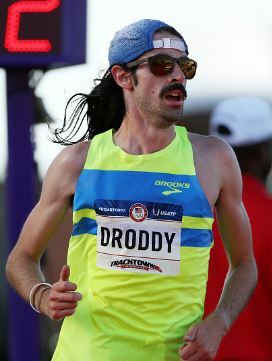 LRC WTW: Noah Droddy and Emily Sisson Rock NYC, The Slow Twins Rise Up, Ed Whitlock Dies and The US Olympians Doing Boston And A Disgraceful Hitler Analogy We break down some great half-marathon action from across the globe, wonder when some mid-20s Americans will make their marathon debuts and say goodbye to a legend. 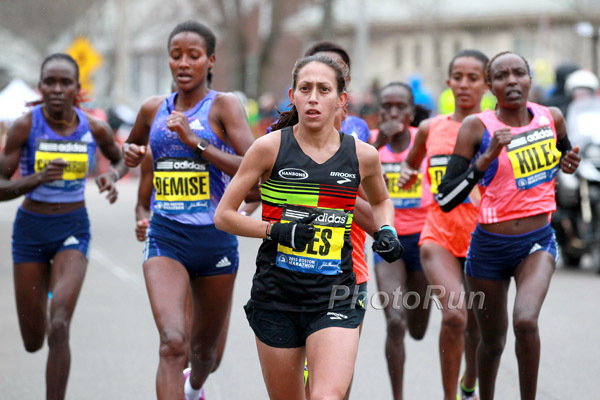 Good Read: Kara Goucher Q&A: Goucher Is Back Training, But Says Retirement Was On The Table When She Missed 5-Months This Summer With Two Knee Surgeries Goucher also talks about Nike’s new sub-2 hour shoes and was “pretty upset” when she found out Shalane Flanagan and Amy Cragg were wearing an early version of it at the Olympic Trials. Shalane Flanagan Will Be Part Of Boston Marathon Local Broadcast Team Flanagan had to miss this year’s race with injury, but in a video interview says she’s “pumped” to help commentate on the race. 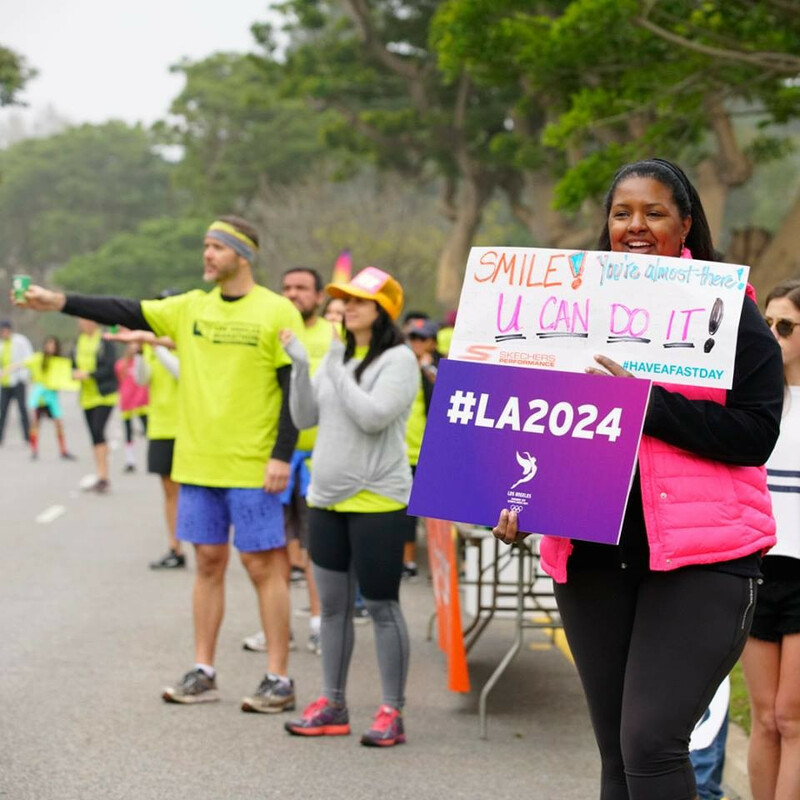 Prevailing Opinion Is That If The IOC Decides To Award The 2024 And 2028 Games Simultaneously, Then LA Will Have To Wait Until 2028 Paris has claimed that the land reserved for the Olympic Village won’t be available in 2028. The 2019 Pan American Games Could Be Moved From Peru Due To Current Intense Flooding Many have called for the money allocated for the Games to be used to help flood recovery. Turkish President Claims Country Deserves To Host Olympic Games Losing the 2020 Games to Tokyo was their 5th failed bid attempt. 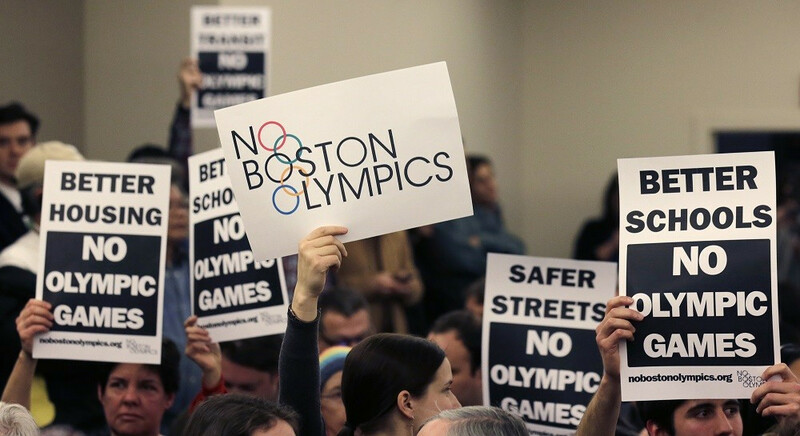 No Boston Olympics Campaigners To Publish Book On How They Torpedoed Boston’s 2024 Bid The book (available in April) is called No Boston Olympics: How and Why Smart Cities Are Passing on the Torch. Play On Boston Marathon Bombing Being Presented By The Boston Theater Company Through March 26th Rather than the event itself, “Finish Line” focuses on the people affected by the bombing. 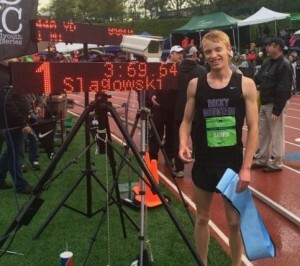 MB: Sub-4 High Schooler Michael Slagowski Leaves Penn State For the time being Slagowski is going back home to work with his high school coach. High School: MB: HSer Cooper Teare 14:13 at Texas Distance Festival Nine boys ran 14:38 or faster. Texas A&M Sprinter Aaliyah Brown Breaks 19-Year-Old Meet Record At Castillo Invitational Brown won the 100m in 11.26. Ex-Oregon Duck Shot Putter Brittany Mann Continuing Her Career At USC Mann finished her degree at Oregon and transferred to USC for grad school. She opened up her outdoor season with a 53-foot, 3-inch victory at the Trojan Invy (#6 all-time at USC). Records Go Down At South African Regional Championship Meet As Olympic LJ Silver Medalist Luvo Manyonga Breaks African Record With 8.62m The world U18 400H and South African junior 100m records also went down as Sokwakhana Zazini ran 48.84 and Gift Leotlela ran 10.12. South African History Is Made As Two Athleties Break 10 Seconds In The Same Race For The First Time Akani Simbine and Thando Roto ran 9.92 and 9.95 seconds with Roto becoming the 5th South African to go under the 10-second barrier. 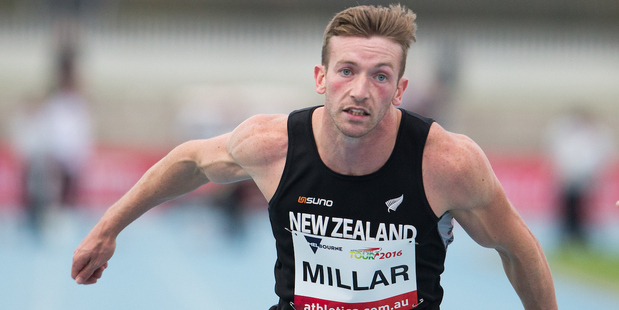 NZ Champs: New King Reigns As Stu Farquhar Vacates Javelin Throne Farquhar is basically retired after Rio but he still threw hoping to win national title #17. Jailed transgender who was convicted of attempted murder of a UK Athletics official thought UK Athletics was ‘trying to kill her’ She was irate that they wanted her to take a blood test to prove her testosterone wasn’t giving her an unfair advantage. LRCThe LetsRun.com Awards: Who Were The Biggest Winners Of The Winter Season? + How Important Is It To Be A NCAA Star If You Want To Be An Olympian? This week we take a look back at the whole 2016-2017 winter campaign and hand out awards. In the end, we bow down and praise Woody Kincaid, Brie Oakley, Mondo Duplantis, Laura Muir, Derek Thompson, Charlene Lipsey and Sam Chelanga. Then we analyze how important it is to be a total stud in college if you want to make the US Olympic team. All of that and much more. LRC Photos of Eliud Kipchoge Working Out in Nike Zoom Vaporfly Elite Shoes On our way to Uganda for the World XC champs, we made a detour to spend the day with the world’s greatest marathoner, Eliud Kipchoge. MB: Breaking: Science of Sport calls for Nike Vaporfly Elite to be banned Perhaps that’s what Nike wanted – free publicty. China Will Select Two Amateur Runners For Their 2020 Olympic Marathon Squad The amateurs will still have to run faster than the 2:19/2:45 IAAF standards, but what does this mean exactly? Will China really choose a 2:18 runner over a 2:14 runner because the 2:14 runner gets paid (probably marginally)? If so, that’s ridiculous. Andy Vernon (63:08) And Charlotte Purdue (72:15) Win Reading Half In The UK Vernon won over fellow Brits Chris Thompson (63:39) and Dewi Griffiths (63:54) while Purdue beat Gemma Steel by over a minute. 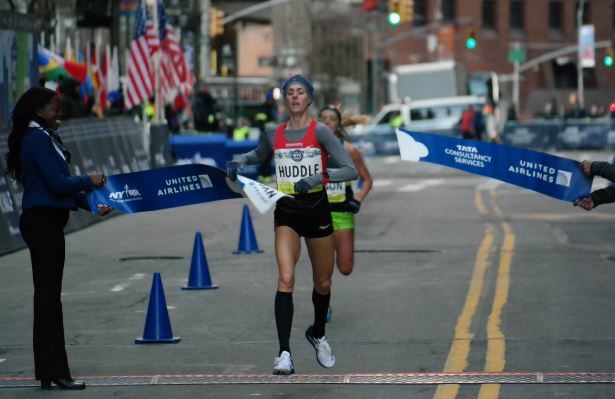 RRW Full Recap Molly Huddle (68:19) And Feyisa Lelisa (60:04) Win 2017 NYC Half In Sprint Finishes As Emily Sisson (68:21) And Chris Derrick (61:12) Move Into US Top 10 All-Time (Updated) Sisson’s debut was great as she’s one of the 5 fastest US women ever now and she’s only run it once. Full coverage in our 2017 NYC Half Special Section. Russian Distance Runner And WADA Informant Andrey Dmitriev Flees Russia Out Of Safety Concerns Dmitriev featured in the January ARD documentary claiming many banned Russian coaches are still active. International Ski Federation President Apologizes For Comparing Russian Olympic Ban To The Holocaust On top of being offensive, his analogy was just absurd. Institute Of National Anti-Doping Organisations (iNADO) Criticizes IOC Anti-Doping Reform Proposals The iNADO head called out the IOC for failing to establish criteria for excluding countries from the Olympics for state-sponsored doping (ie Russia). InsideTheGames: “Is Soccer Still Too Complacent When It Comes To Doping?” In a word, yes. 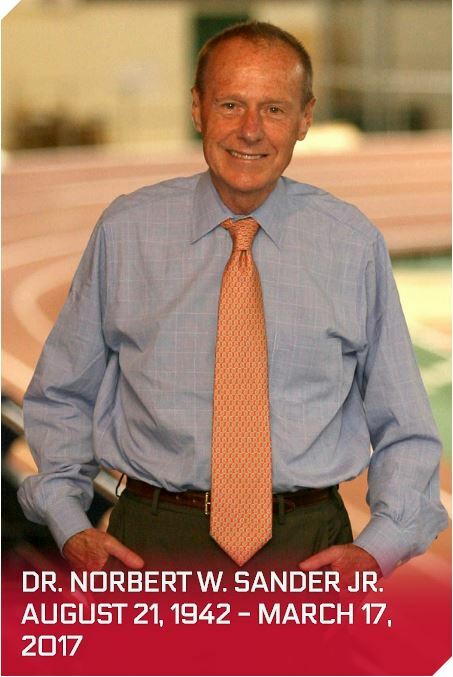 *RRW: Armory Foundation Founder Dr. Norbert Sander Has Died Unexpectedly At 74 He was instrumental in getting the controversial decision to move the Millrose Games to The Armory. RRW Charlene “The Savage” Lipsey Is Really Happy She Moved To Derek Thompson’s Group Ajee Wilson has nicknamed her “The Savage” as she’s ultra-competitive. The Armory’s NYC Indoor Marathon Is Next Weekend – These Are The Men That Will Battle For the WR The race can be watched live for free. The record is 2:21:56. 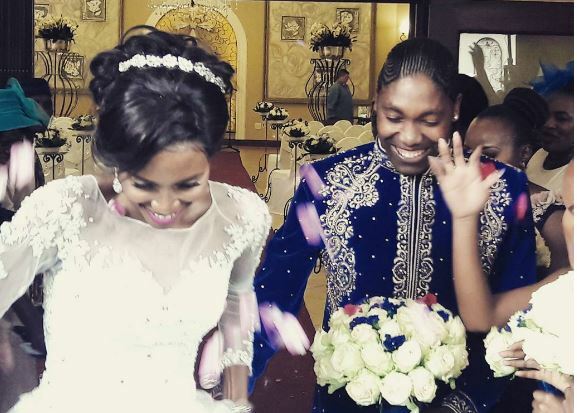 Caster Semenya Says She Took A Longer Break Than Normal After The Olympics – Is One Month Behind On Training She certainly didn’t look bad when she crushed the South African XC in a 3k on Wednesday. 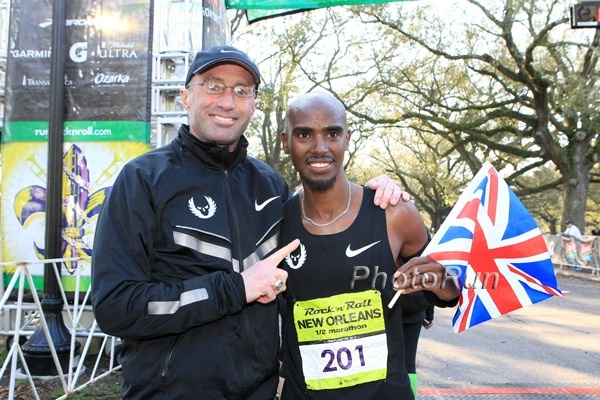 Doctor Who Gave Mo Farah Controversial L-Carnitine Infusion Called To Give Evidence In Doping Hearing The doctor and UKA head endurance coach Barry Fudge are to appear before the the Culture, Media and Sport committee next month. +1 For China: China Says They Will Ban Amateur Marathon Cheats (Course Cutters And Bib Swappers) For Life This after it was found that a man died of a heart attack during a December road race while running under someone else’s name. UK Athletics Review Claims Paralympic Track And Field Classification System Is “Open To Abuse” Athletes can take advantage of the system by exaggerating how bad their condition actually is. BBC Poll Reveals “Concerning” Level Of Doping In Amateur Sport BBC’s investigation revealed that more than a third of amateur athletes know someone who has doped. RUSADA Appoints Acting Director General As Hunt Continues For Permanent Choice Tatyana Chirkina was formerly the RUSADA accountant. This is a different position than Yelena Isinbayeva who is the RUSADA Supervisory Board chair. 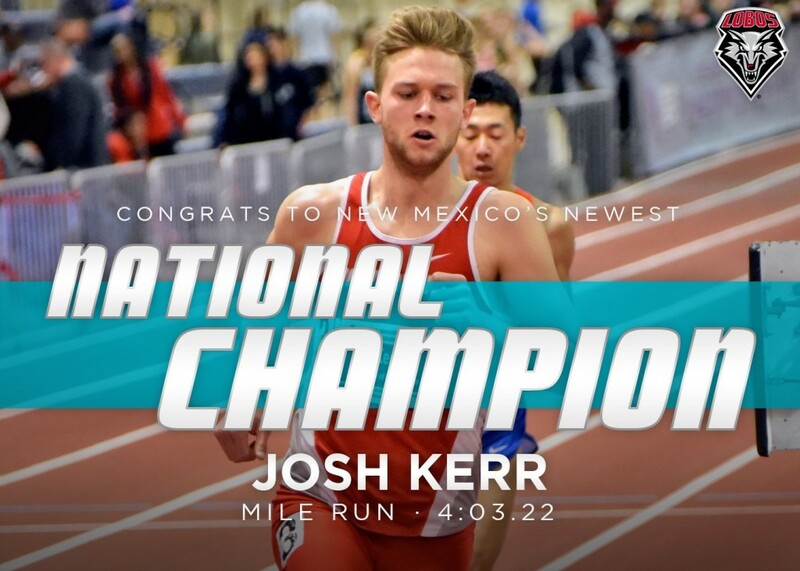 Lisbon Steals The Spotlight: Jake Robertson Wins Lisbon In 60:00 And he’s only the second-fastest twin in the family as his brother Zane has run 59:47. Amos Kipruto Knocks More Than Two Minutes Off His PR To Win Close Race At Seoul Marathon Kipruto ran 2:05:54 to beat Felix Kipchirchir by 9 seconds. The women’s race was also a nail biter with Kenya’s Margaret Agai running 2:25:52 to finish 5 seconds in front of Ethiopia’s Ashete Bekele Dido. Isaac Kipkoech Runs Fast Half At Altitude To Win Red Cross Half-Marathon In Kenya With 60:52 Esther Chesang (70:58) won the women’s race. Ethiopia’s Afewerk Mesfin Wins Thrilling Dual With Keneya’s Julius Tuwei To Win The Chongqing Marathon Mesfin ran 2:09:49 to set the CR and win by only 3 seconds. Rael Nguriatukei Kiyara won the women’s race easily in 2:26:22. Hillary Maiyo (62:55) Defends His Title At The Gydnia Half Marathon Morocco’s Fatiha Benchatki (72:23) won the women’s race. 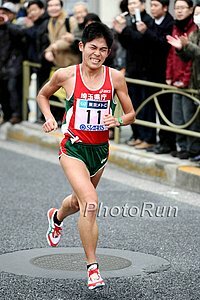 Japan Selects Marathon Team For 2017 Worlds The team includes Yuki Kawauchi and Yuka Ando, who ran the fastest debut by a Japanese woman (2:21:36). One Small Kenyan Village Has 6 Of The 28 Members On Kenya’s World XC Team The athletes from the village of Keringet, which means “a hole” in the local language, include Olympic 1,500 champ Faith Kipyegon. Kenya Escapes Threat Of Ban After Promising To Adopt A New Constitution Later This Month And we’re sure this will be the end of it because of course Kenyan officials never miss deadlines. RRW With Weather Fluctuating, Tactics Could Change At NYC Half The temperature is expected to be 33F at race time. REPEAT? Geoffrey Kamworor Says He’s In Much Better Shape Than At Kenyan Trials – Thinks He Can Defend Title He says he was back at the Kenyan Trials as he only started training in December as he was trying to get over a nagging injury. 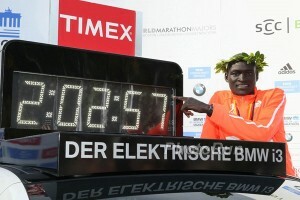 Leonard Patrick Komon Guarantees Kenyan Victory: “We will win. I believe it will be an easy run and we assure Kenyans of a win.” Six days after Worlds, he’ll race Galen Rupp in a half marathon in Prague. Is This The Secret To Kenya’s World XC Success? Kenya Has Had Its Training Camp At Kigari Teachers Training College Every Year Since 1986 Some think the special terrain makes it ideal for XC. Kenya’s Junior Men Say They Are Ready To Dominate World XC But Many Of Them Want Individual Gold World Youth 3,000m champion Richard Kimunyan won the Trials but world jr steeple champ Amos Kirui (5th at Trials) says he’s the one to beat. Have Fans, Will Travel Athletics Kenya Will Send 8 Buses Full Of Fans To Uganda Some of them are going from Nairobi, which is a 20-hour bus ride when you throw in stops. The LRC staff is flying in from Nairobi. Controversy In Jamaica: High School Officials Stand By Decision To Let Ugandan Distance Runner Compete At “Champs” EvenThough He Failed 2 Of 3 Eligibility Criteria Aryamanya Rodgers is expected to dominate the distance races and some parents are so irate they walked to the ISSA offices and handed in the winner’s trophy before the competition is even held. Calabar Boycotts Champs Launch The Champs start March 28. LaShawn Merritt Will Face Andre De Grasse At 200m At Jamaica’s IAAF World Challenge Meeting On May 20th The women’s fields are loaded as it included 100H WR holder Kendra Harrison and double Olympic champ Elaine Thompson. Van Niekerk Will Evidently Be In Jamaica Awhile As He, David Rudisha, Mo Farah And Usain Bolt Will Race At JN Racers Grand Prix On June 10th We guess the big names are showing up as it’s Bolt’s going away party.